A six-month programme of drainage maintenance has been completed on the M1 near London during which more than 150 repairs were made to detective surface water drains. The work, carried out by Lanes Group plc on behalf of main contractor Osborne, was designed to make sure the drains worked effectively, reducing the risk of flash flooding during heavy rain. Lanes, the UK’s largest independent drainage specialist, was praised by Osborne for completing the planned work, plus additional pipe cleaning and repairs, within a tight timescale. Ben Forsyth, Lanes Group Strategic Development Manager, said: “A combination of rigorous planning, focussed implementation, and close partnership working between our East London drainage teams and their counterparts at Osborne were key to this project’s success. “The positive outcomes demonstrate the value of Lanes’ ability to deliver the fullest range of services – from surveying through to no-dig drainage rehabilitation – seamlessly, safely and sustainably, both strategically, and for individual projects. The programme involved carrying out highway drainage repairs and desilting at multiple locations along a 22km stretch of the M1 from the A406 North Circular Road to the M25 in Hertfordshire. Over 130 nights, many thousands of metres of highway drains were desilted and CCTV camera surveyed. A total of 150 point repairs, also known as patch liners, were installed, along with six full-length pipe liners. Drainage engineers from the Lanes East London depot in Rainham were deployed on the programme, carried out under 13 phases of traffic management, supported by Osborne highway operatives. 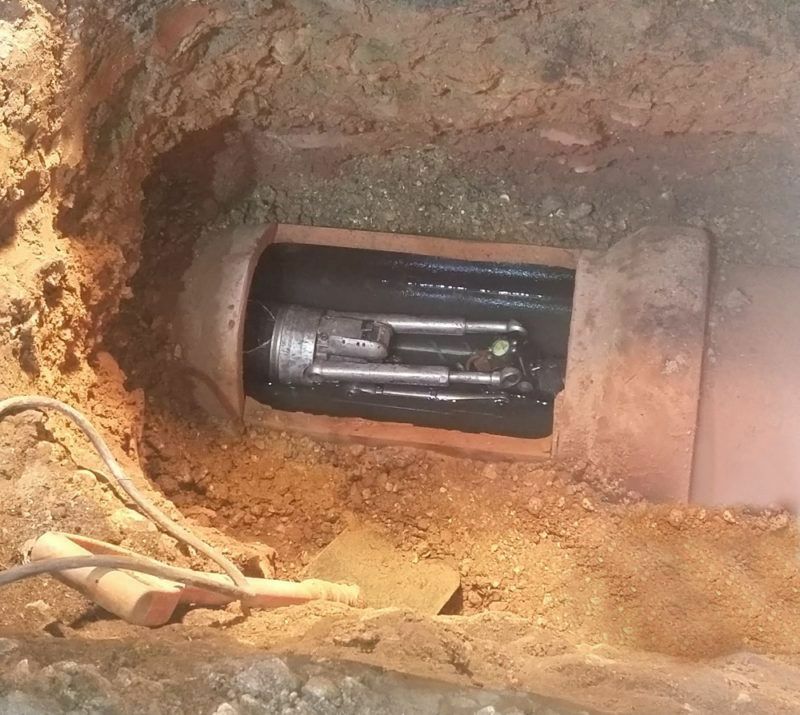 Site Supervisor Michael Clifford, who led the Lanes team, said: “We coordinated the work carefully to maximise productivity, with the drain cleansing and CCTV survey teams pushing ahead while the repair team followed up where defective pipes were identified. “We only had a window of up to five hours per night to carry out our work, yet there were times when we could clean and survey up to 600 metres of pipe and install six patch liners in one shift. Productivity was aided by deploying an advanced recycler jet vac tanker. The machine could filter and continuously reuse its jetting water. This meant it could operate for the whole shift without having to refill its 14,000-litre water tank. Keeping highway drains in good repair is vital to prevent localised flooding during periods of heavy rain, which can be a serious road hazard, and contribute to congestion by slowing traffic. The full-length liners – one 90 metres, the others between 30 and 50 metres long – were installed by the Lanes sewer rehabilitation division, based in Manchester. It used a technique called ultra-violet (UV) cured in place pipe lining (CIPP). A glass-reinforced-plastic (GRP) liner, impregnated with UV-sensitive resin was installed in the defective pipe, then inflated with compressed air. A UV light array was then pulled through the liner to cure, or harden, the resin, creating a new pipe-within-a-pipe. The patch liners were shorter, 1-2 metres long, and were cured with resin that reacts in ambient temperatures. All lateral connections were reopened using a robotic cutter, pictured above.